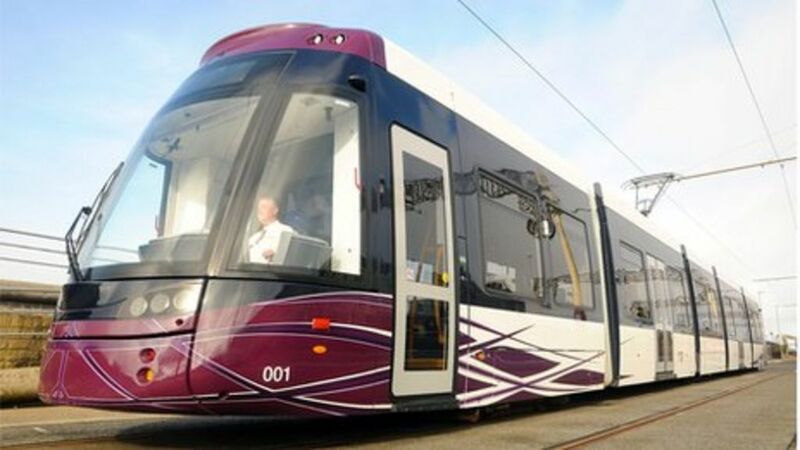 One of the first of Blackpool's new fleet of trams is derailed on its first journey after the famous attraction underwent a £100m upgrade. The derailment of a tram containing the first fare-paying passengers due to sand on the tracks at Fleetwood today took the shine off the launch of the gleaming new fleet of Bombardier Flexity trams. A new Flexity tram waits to leave Fleetwood Ferry on Day 2 of scheduled services since reopening of the tramway after refurbishment. Just ahead of the tram is the curve where the first scheduled service on Day 1 was derailed due to a build up of sand in the track. However services were quickly back on schedule.